Being a native of Holts Summit, Brenda knows the Holts Summit area very well. Brenda has almost 40 years of banking knowledge and also holds a Bachelor Degree from William Woods University in Business Management. 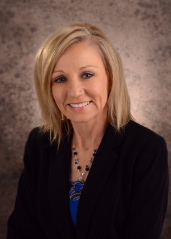 She has worked in several different areas of banking and she enjoys visiting with her customers and really getting to know them and their personal interests. Brenda is there for you and will assist you with your lending needs. Contact her at 573-896-4790 or just stop in.